Having watched Patrick Reed win the Masters following a dramatic weekend at Augusta National, have you been inspired to experience the legendary venue and tournament in person? The Masters is firmly on the proverbial ‘bucket list’ for most golfers. It’s something that should be sampled at least once, walking the iconic course and savouring the unique atmosphere that makes the event special. Despite a fear of exclusivity, it's easier than you may think to secure entry beyond the gates into the first men's major of the year in 2019. The first popular option is to enter the annual ticket lottery. This method has been available for a few years now and will generally become open in May. Create an account on the website and you could apply to enter the ballot for either practice day or daily tournament tickets, which are drawn separately throughout the year, typically in June and later August. Practice round tickets costs $65, and each person can request up to four tickets per day. Tournament rounds are priced $100 each. Many people from the UK and beyond have been successful in securing passes through this avenue, but the onus is on them to plan the trip and arrange both flights and accommodation ahead of the 83rd Masters next April. 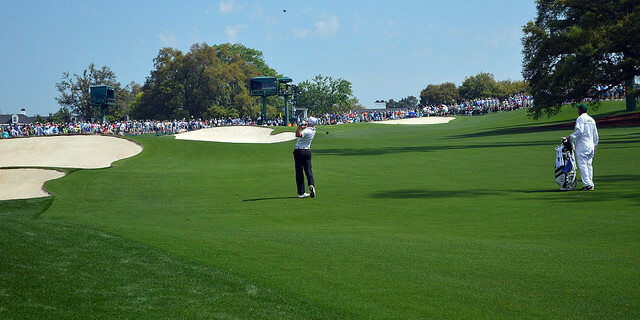 Some people enjoy that flexibility and could make their visit to Augusta part of a much wider and varied holiday. However, if you have saved up the money and have decided that it’s time to attend the Masters, attractive packages are available from golf travel providers, who will ensure tickets, hotels and travel, in addition to rounds of golf depending on which level of option you choose. Hospitality is now a regular feature of these deals. Golfbreaks.Com are just one of those brands and provide several striking offers for people looking to make that memorable pilgrimage to Georgia. Click Here for Golfbreaks Packages to Secure Your Place at the Masters in 2019. If you decide to make 2019 the year that you experience the wonder of Augusta National and the Masters Tournament, let us know about it!